Despite the rain, I thought the first annual (bi-annual??) 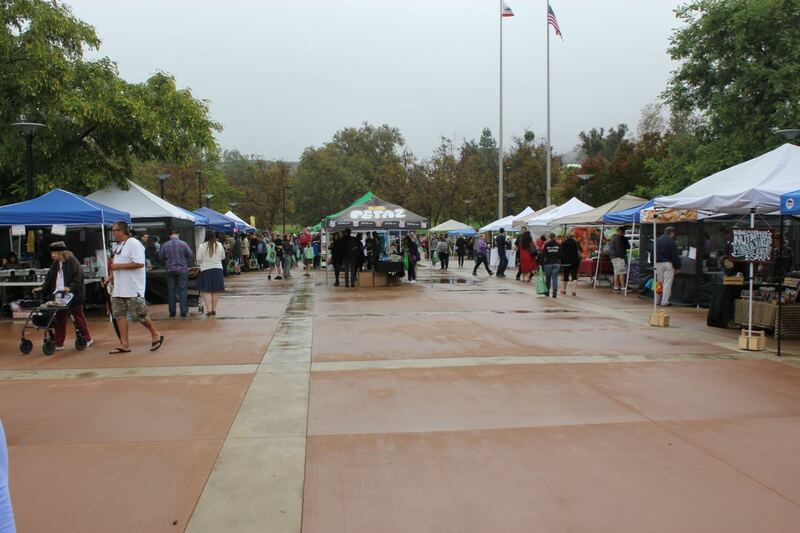 Herbivore Festival at Crafton Hills College in Yucaipa was a success. There were quite a few vendors set up selling food and products and other vendors who were there to provide information about their various causes. They also had cooking demonstrations, music, aerial acts, and inside lectures. I was able to browse the vendors (and buy some products) and also watch the cooking demonstrations. I wasn’t able to listen to any for the lectures, but I heard they were great. 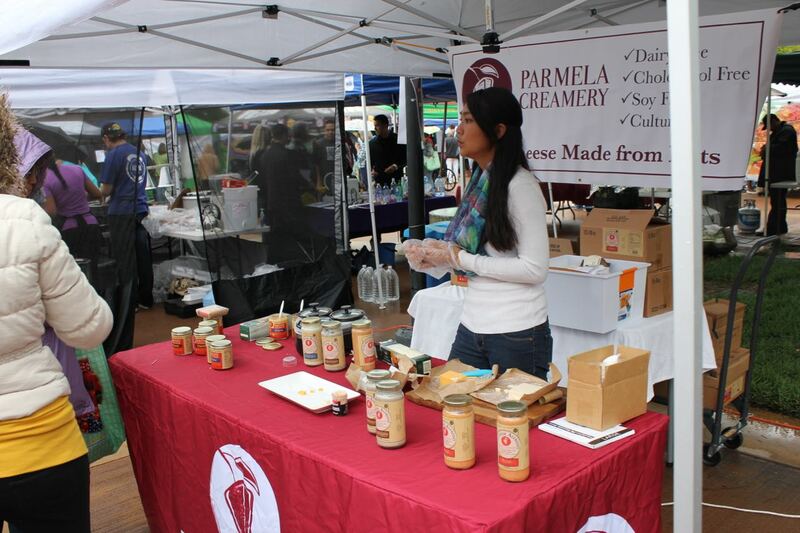 Parmela Creamery makes some awesome vegan cheeses and they were there sampling and selling some of their products. 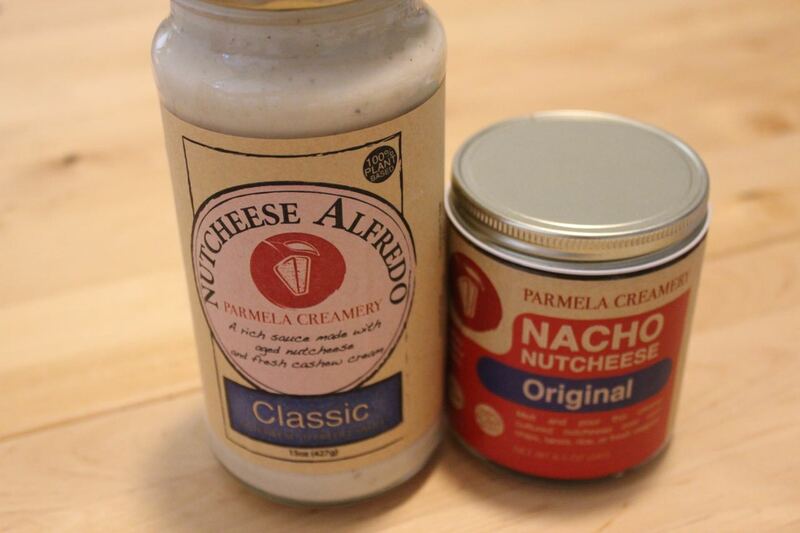 I tasted their new Nacho Cheese and it was super yummy, so I bought a jar and a jar of their Alfredo Sauce. Happy Family has a delicious restaurant in the Loma Linda area (and also in Rowland Heights) and they were there selling a few of their best sellers. 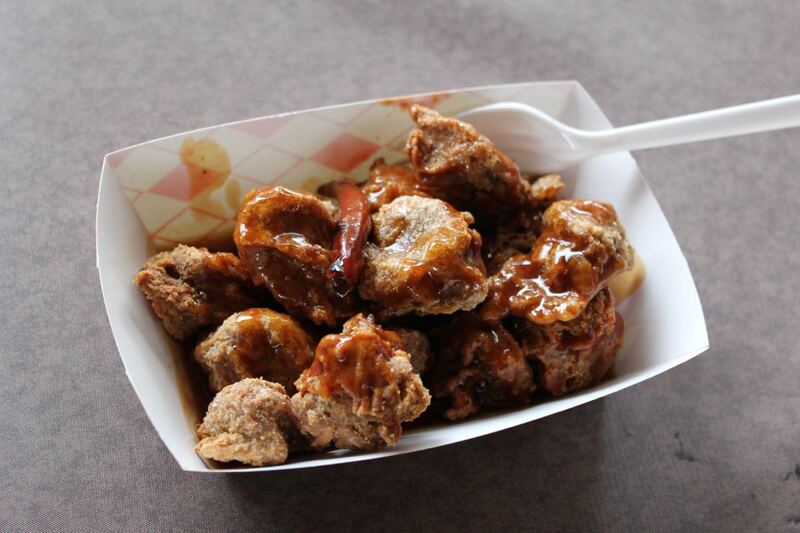 I got a chicken dish for $5, but think it is way better when eaten at the restaurant. I highly recommend this place. 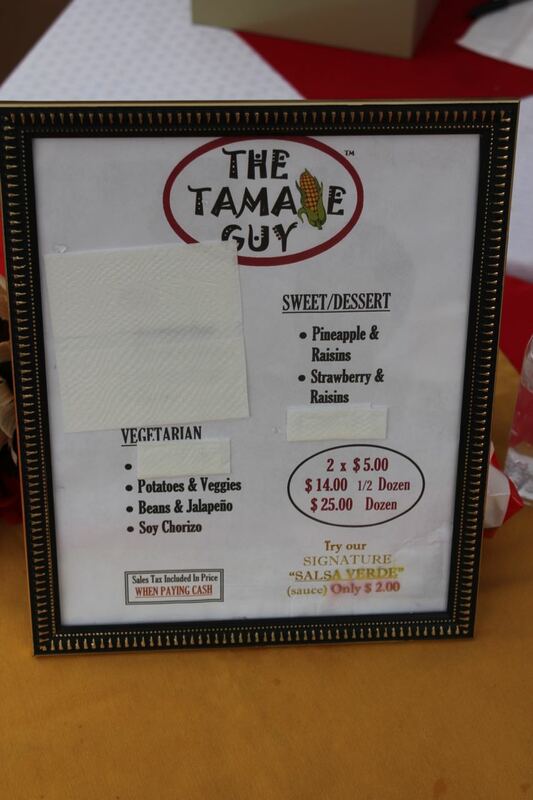 The Tamale Guy normally serves all sorts of tamales, but for this event, they went completely vegan. 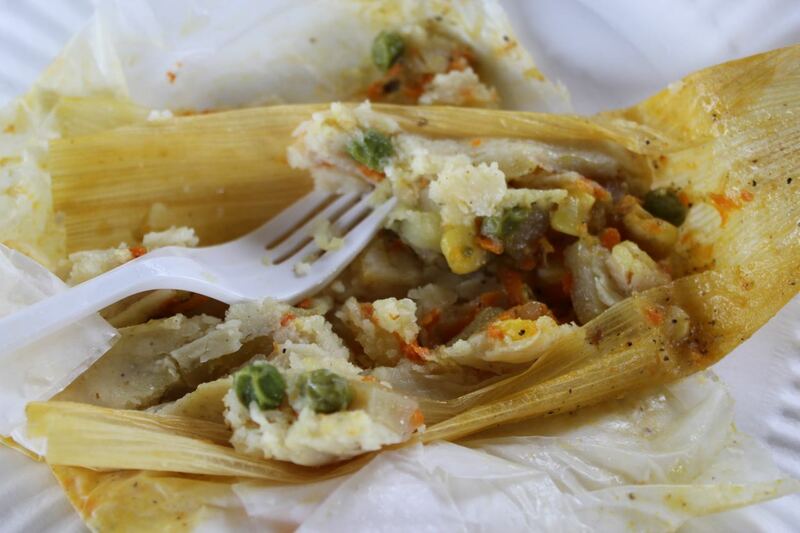 The Potatoes and Veggies Tamale was really good and hit the spot on that unusually cold day. 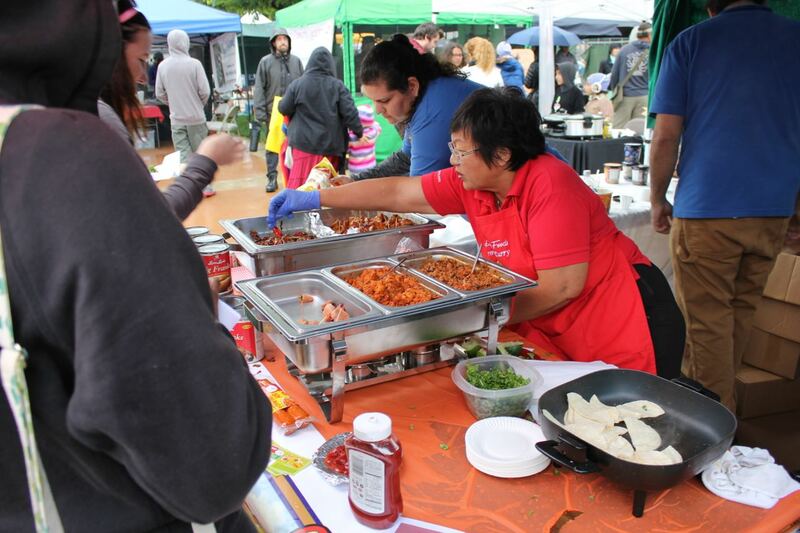 Loma Linda Market was there serving up a whole meals worth of samples. They were super generous. 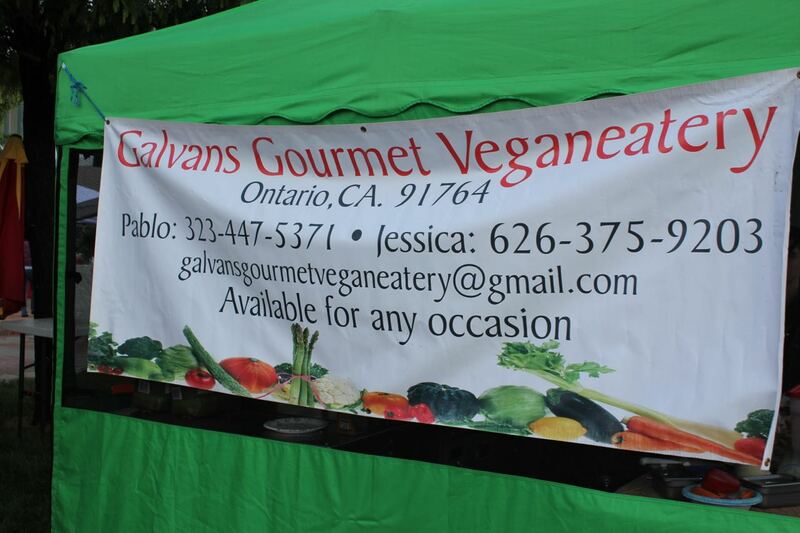 Galvans Gourmet Veganeatery was new to me, so I was excited to try one of their dishes. 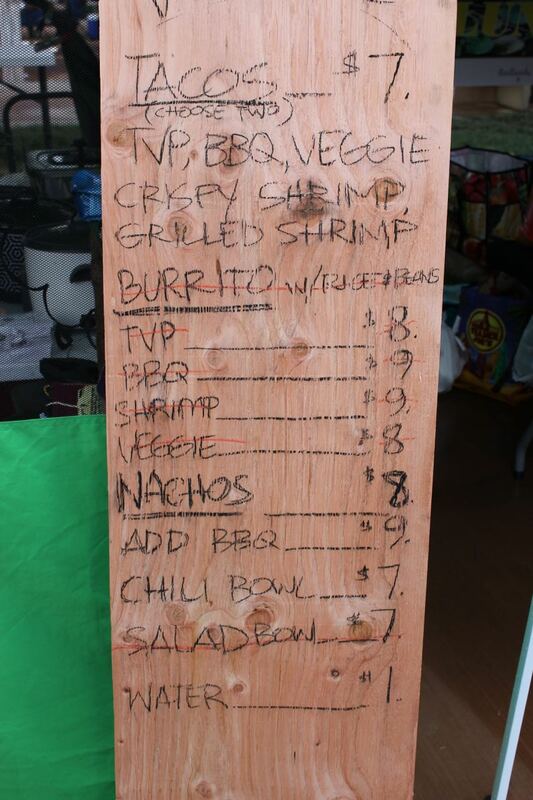 The TVP Taco was just ok, but the Fried Shrimp Taco was insane. I can’t believe how crispy they got the shrimp, since it was a cold, wet day and they just had some small portable fryer. They really did it well. 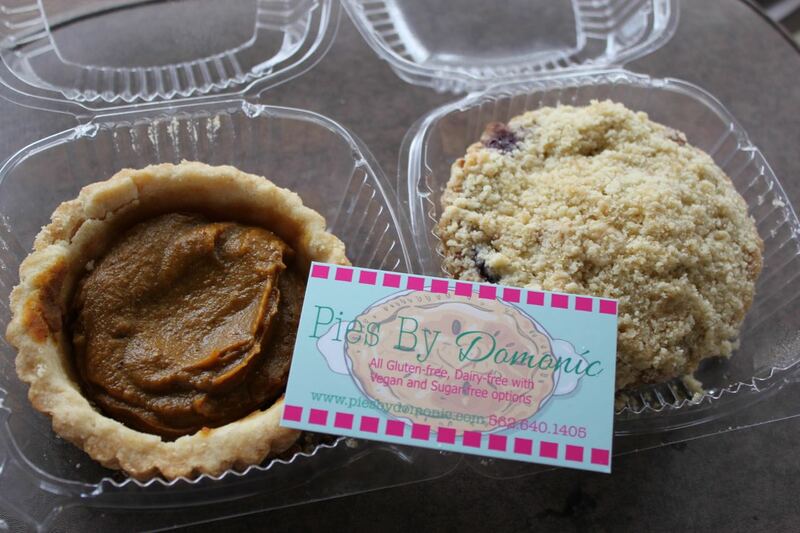 Pies by Domonic based out of Orange County was selling gluten free pies. I got a Pumpkin Pie and a Blueberry Crumble Pie. I’m not gluten free and would have preferred a regular flour crust, but it was pretty good. I ate mine with lots of Soyatoo Whipped Cream when I got home. 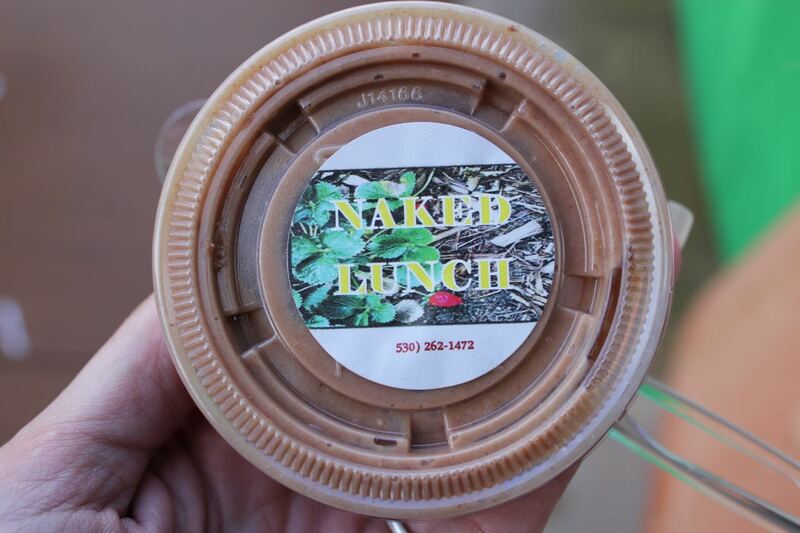 Naked Lunch had some savory items and this Chocolatey Yogurt. I was a little worried it was going to be bitter since it was made with cacao, but it was perfectly sweet. I saw three cooking demonstrations while I was at the festival. The first was done by a very energetic dietician named Kimberly Paulien Slater. She showed us a recipe for an easy and delicious salad (recipe can be found here). 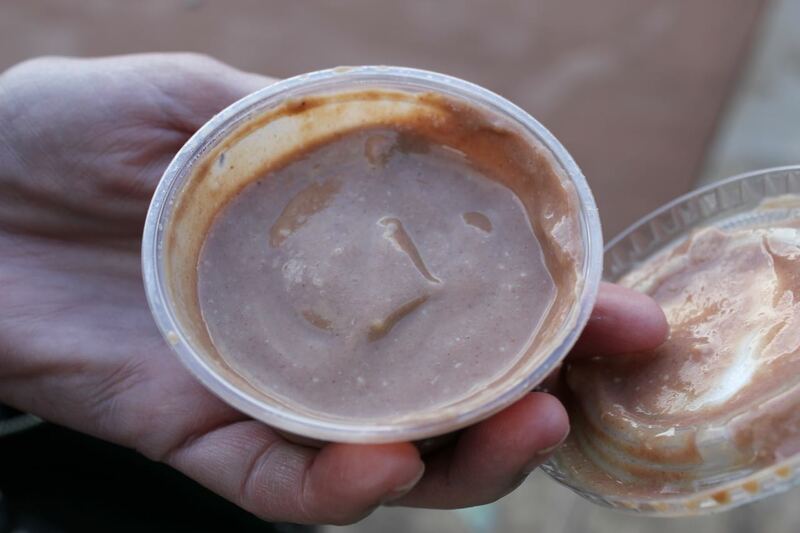 The second demonstration was for a Raw Nacho Cheese by Paul Zanone who runs a raw meetup group in the Inland Empire. 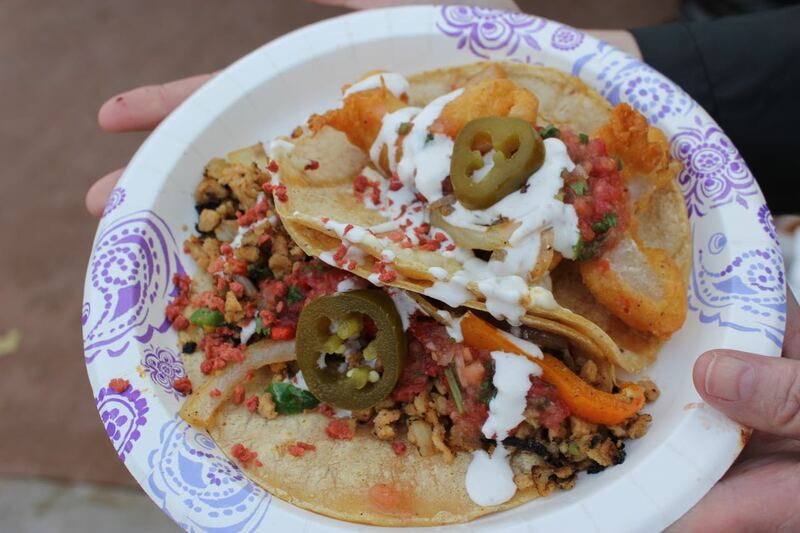 The last demonstration I saw was by two chefs who came all the way from the UCLA Lake Arrowhead Conference Center. I thought the effort they put into this demonstration was terrific. 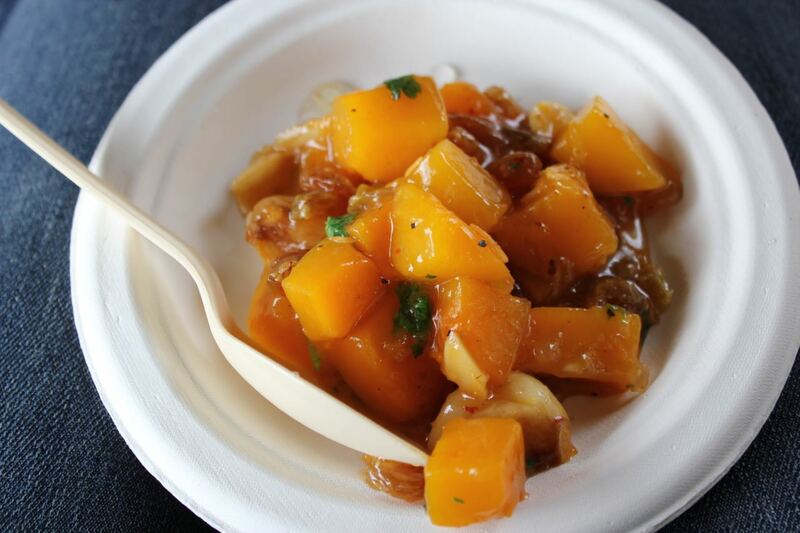 They made a beautiful Butternut Squash Tangine that was also delicious. The conference center is open to UCLA grads and to organizations and small businesses that want to use the facility for retreats and conferences that are educational in purpose. After the success of this event, the organizer was toying with the idea of making this event twice a year. I’m so excited that there is this much involvement in the vegan community out in my home area of the Inland Empire. Keep watch at their Facebook page for information about the next event.